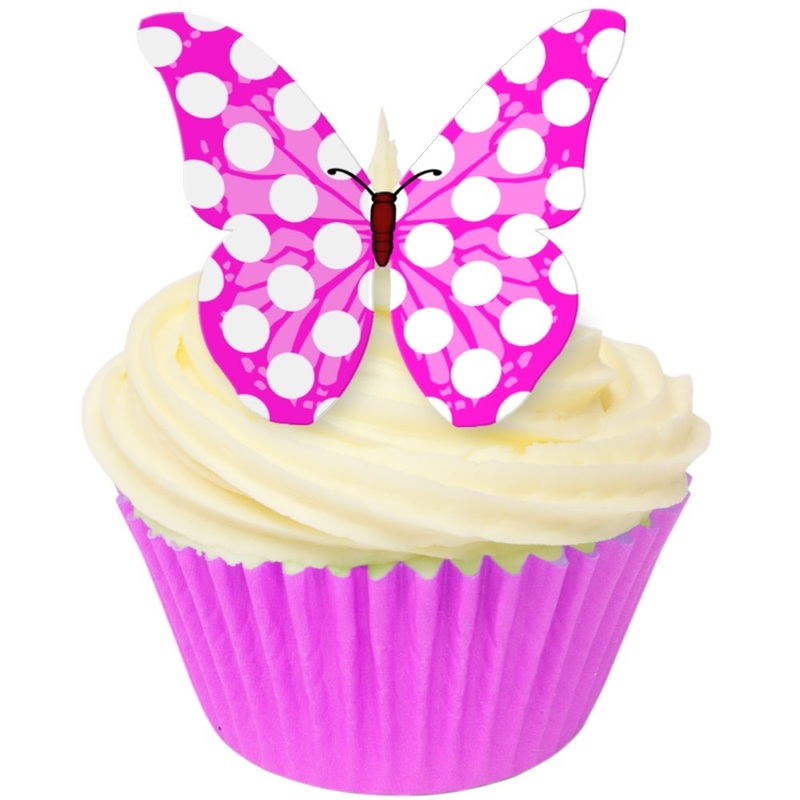 Charming cerise edible wafer butterflies adorned with white polka dots. An in style design and a right on trend colour. These edible decorations are a simple way to make any cake fashionable.